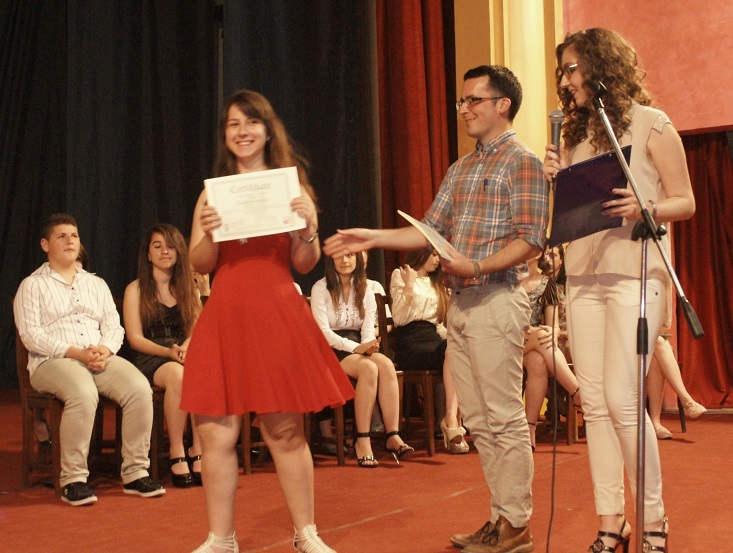 On Wednesday, May 28, 2014, at the Skampa Theater in Elbasan, Albania, the second class of high school youth graduated from the Elbasan Youth Council and received certificates of accomplishment for their work throughout the year and contributions to the city of Elbasan. 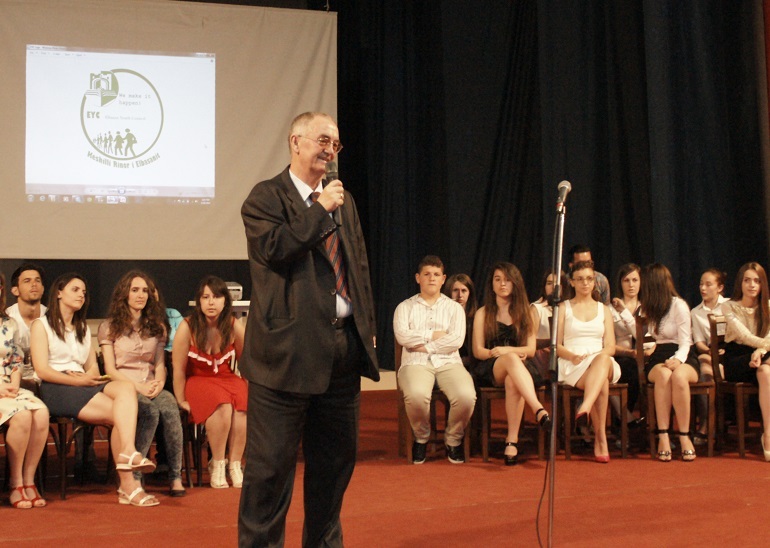 Created in 2012, the Elbasan Youth Council (EYC) is a partnership between Peace Corps volunteers and the Muncipality of Elbasan established to provide high school students from fourteen local high schools (including private, public, and vocational) a unique leadership development opportunity. This year 26 EYC members finished the 7 month program of weekly sessions focusing on topics that connect to municipality operations affecting youth, such as Environment, Social Services, Culture, Transportation, Health and Fitness and Recreational programs. Session designs varied from group exercises, discussion forums and guest speakers. 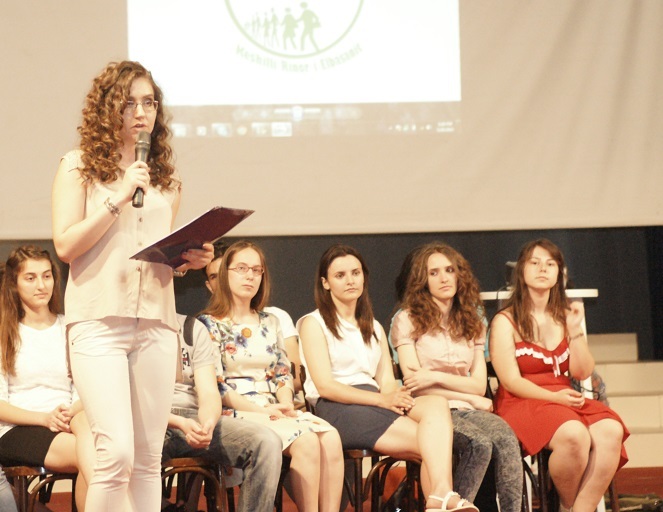 In addition to the weekly sessions, participants of the Elbasan Youth Council also developed, planned and implemented projects that bring positive changes to the community. Along the way they develop important life skills such as leadership, public speaking, time management, fundraising, teamwork, creative thinking, flexibility and patience. 2nd Annual art competition for high school youth, to increase awareness of cultural arts in the city and among youth. Youth raised just over $1,000 to for awards and related costs and got the in-kind support of a local hotel restaurant to provide for a small award ceremony. Anti-Drug and Violence presentations conducted in area high schools increasing education about the negative effects of drugs and violence and reaching nearly 250 high school students each. Informational brochures were shared in all the schools and the Anti-Drug group is in discussion with a local television station to have their video aired. Public Spaces groups organized the first Elbasan summer film festival, and got the in-kind support of the city and local business to use the cities big screen. Movies will air in the evenings this June. The success of the program has received national attention as other cities are taking lessons learned from the EYC and applying them to their own youth programs or attempt to replicate it. 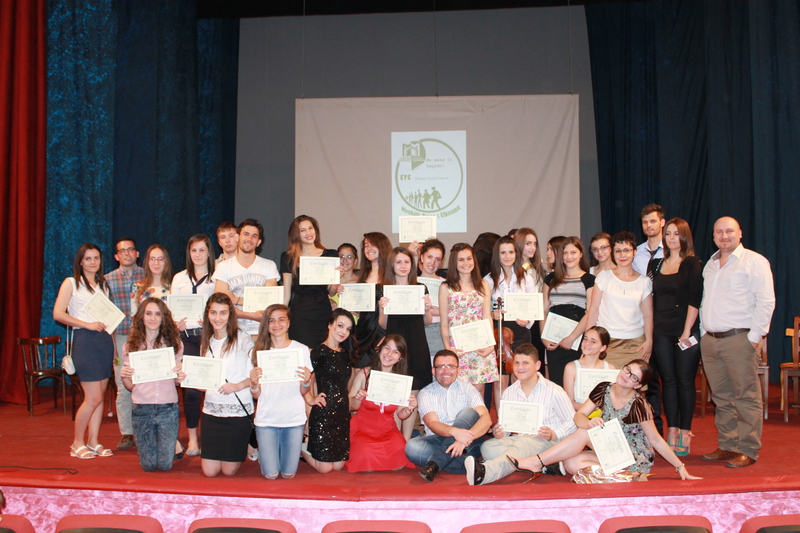 A graduate this year said that, being part of the Elbasan Youth Council, was the best experience of his life. The youth are held to high expectations and they quickly realize all the many things they are capable of. They graduate from the program having tested themselves in different ways forging along the way with new skills and friendships.